Find things to do for Labor Day 2018! Getting ready for Fall? Even though summer isn't officially over until September 22nd, it's still fun to have a weekend celebrating it's ending! Orange County has some pretty good options over the weekend. Coinciding with Labor Day weekend! If you are new to the sport of fishing, and not sure if you will enjoy it, a great opportunity awaits you. California Department of Fish and Wildlife offer two Free Fishing Days each year. On these days, you can fish without a sport fishing license. Free Fishing Days provide a great, low-cost way to give fishing a try. The Great Labor Day Cruise attracts over 1400 vintage autos, classics and street rods. Not just a car show, it’s a true family event wich include a model car contest, wild wagons display and over 100 vendors for both automobile related and personal related items. 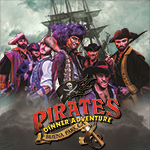 This is one of the largest and longest running 3 day events in the nation and one of a few that can offer non-stop cruising around a 1.25 mile cruise route set up at the 150 acre venue. If you'd like to overnight camp, this event offers 210 camping spaces in 2 different areas of the venue. See a Civil War reenactment with two different battles at Central Park in Huntington Beach. Great fun (plus learn about history! ), while you hear The Gettysburg Address reenacted, visit "Reedsburg", the historic town of civilian folk to learn about daily life in the 19th century and visit each army's camp to see soldiers prepare for battle and rest up for the next figh. Always Free to the Public! Wind down with a visit to the vivid gardens at Casa Romantica with FREE admission and self-guided tours! Make ocean-themed crafts and learn about the importance of preserving our beautiful coast from organizations like the Pacific Marine Mammal Center, Back Bay Nature Conservancy, and Bolsa Chica Nature Conservancy. D. Yoder Family Sundays are held on the first Sunday of each month for activities and a program thematically based on Casa Romantica’s Casa Captivating programs for all ages. Tired of 'Dinner and a Movie'? If you're looking for something different this holiday weekend, here's some fun ideas. Imagine yourself scanning the skies in a real military aircraft in search of the enemy airplane. You spot the bogey, and the fight's on. Pulling g's, making quick decisions you out maneuver your opponent and line 'em up in your gunsight, squeeze the trigger and Guns...Guns.... Guns! The bogey erupts in smoke and you roll up and away, Victorious! This is not a simulator, this is the real deal. You are at the controls of a military fighter, while your military trained instructor coaches you to victory. Voted one of the top attractions in Anaheim and Orange County, Flightdeck provides an exciting alternative to the neighboring amusement park by giving civilians the opportunity to pilot fighter jets in actual cockpit simulators and a Boeing 737 flight simulator. Experience the challenge of aerial maneuvers at 500 knots, aircraft take-offs and landings and the excitement of air-to-air combat. Up to ten people can fly at the same time, each in their own authentic F-16 flight simulator! There is also the "Officer's Club", an observation area where guests can view and listen to all of the action on large LCD monitors. Flightdeck offers 45 minute air combat flights and 30, 60 & 90 minute Boeing 737 flights. Advanced reservations are required. Old World Village is a very unique shopping, dining, beauty, arts and entertainment center, located on 8 acres in Huntington Beach. You're invited you to take a stroll through the cobble stone streets and shop at the many specialty stores and services in this charming replica of a German Bavarian town. In addition to the many shops, Old World Village is home to many fine dining options as well as entertainment and events including the 9 week celebration Oktoberfest from September to the end of October. We’re people like you who want to exercise, but also like to have fun. So instead of stairclimbers and weight machines, we decided to create a place where you can soar in open jump arenas, flip into our stunt bag, play trampoline dodgeball, and maneuver through our laser maze. 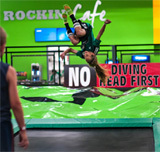 Come enjoy a day to remember at Rockin’ Jump Orange County, your Party Headquarters! Our local whale watching guides are getting sightings of the giant blue whales plus Minke Whales, Humpback Whales, and even sharks at this time. Labor Fun in Orange County, CA!